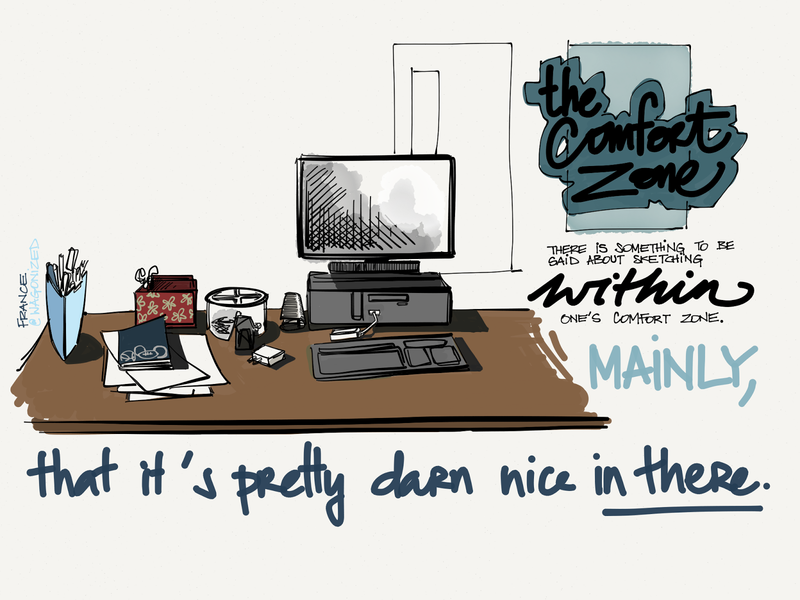 There is something to be said about staying in your comfort zone when you draw. There is something meditative about sketching something you have done dozens of times before. You are still seeing and perceiving, but you are also building the “muscle memory” part of the process. It feels nice. For all the invitations to get out of our comfort zones and stretching our abilities, the capacity to remain and hone a little skill (i.e. drawing your room, drawing your left hand…) is pretty crucial yet underrated. So here's to staying in the comfort zone every now and then.